What is Gentle Touch Chiropractic? women, children and the elderly. lower back pain during pregnancy. baby to get into the best possible position for birth. 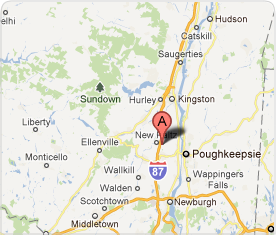 health—is through regular visits to New Paltz family and pediatric chiropractor Dr. David Lester. you been considering back surgery? Are you looking for an alternative to pain medication? Drug-free Natural back pain relief is possible. even avoid surgery. Isn't gentle chiropractic care worth exploring? Most of our patients not only feel their aches and pain go away but experience a definitive move towards improved health. Dr. Lester’s holistic approach to pain relief takes a patient’s entire lifestyle into account. You will receive expert care, specifically designed for what you need. Dr. Lester is accessible and committed to the community and his patients. Come join him for one of his free weekly wellness classes in New Paltz. He would love to meet you.